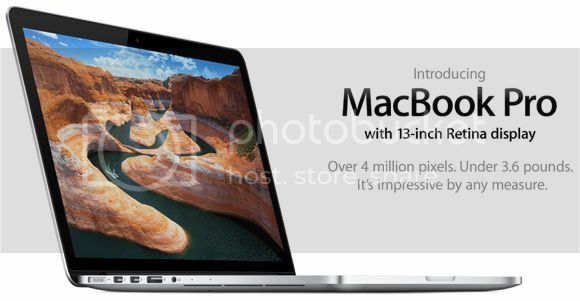 When Apple announced the 15-inch Macbook Pro with Retina Display it was pretty inevitable that we'd be seeing the 13-inch version sooner or later. Now that Apple's shed some light on the 13-inch Macbook Pro with Retina Display the bigwigs of Apple not only showed us a great looking laptop with an unbelievable pixel density they also gave us a peek at the direction they're taking when it comes to the hardware they want to keep. If you're still betting on seeing those disc drives built in to any of the Macs you'd probably want to buy those old Macbook Pros now. I highly doubt that Apple's going to make any more Macs with built in drives. I personally like the decision to remove the built in disc drive because it really helps shave some of the weight off the device, it's not like anyone's still carrying data around discs anyways. When's the last time you used a disc on a laptop?